The first decade of the millennium has been kind to Bordeaux with Robert Parker's Wine Advocate characterizing much of the 2000, 2005, and 2009 vintages as being outstanding for the higher end vineyards But with great hype from influential critics comes greatly exaggerated prices; and with exaggerated prices comes the snobbery of some oenophiles and their hangers on crowding out those who may be genuinely interested in the wines of Bordeaux yet do not have the deep pockets to saunter to the table to appreciate them. 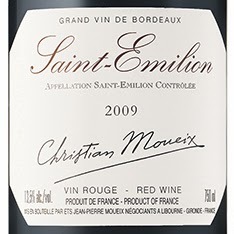 Christian Moueix, scion of the the French wine establishment and Decanter's 2008 Man of the Year, has marketed for a number of years wines that are characteristic of the Établissements Jean-Pierre Moueix estates in Saint-Émilion and Pomerol but at a price point not requiring one to dip into a home equity line of credit to enjoy, as one would have to if a case of Chateau Pétrus 2003 was on order (costing $4229/bottle in Ontario). Moueix's value wines are this week's Wine Wednesday (#WW #WineWednesday) recommendations courtesy of your friends at SukasaStyle: Les vins de Moueix sont Mieux (Moueix's wines are better). 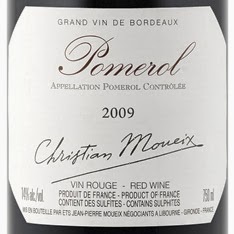 Christian Moueix, the man behind legendary wines Chateau Pétrus and Dominus, also makes smashing wines at appealing prices like this fragrant Merlot with its plum and black cherry flavours. 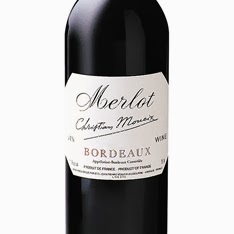 A Bordeaux for everyday meals such as beef stew, pepperoni pizza or grilled pepper steak. Red and purple hue and a nose that is more floral than expected. The reason this wine is favoured by your scribe yet may not be by many tasters is the mineral nature of the body --one gets the sense of the terroir drinking this-- and the taste was smooth yet balanced with tannins and a medoum-long finish. There was the sense that this was a much more expensive wine that deserved to be opened after 6-7 years in the cellar to bring out its full character. Arguably the most fruit forward of the Moueix entries, it can be enjoyed by itself but comes out well when paired with steak. Spicy and woody on the nose coupled with fleshy tannins make this an appealing wine. Serve at 16-17 oC or cellar for another 5 years and you will be rewarded.